To have a success with your business online you need to know what information should be on your website. In order to do that we have to start by know what the most important pages on a website. A website has to provide visitors with a quality experience. Your potential customers are searching for information that you can provide. As a business owner you need to focus on providing high quality content that serves the needs of your potential customers. 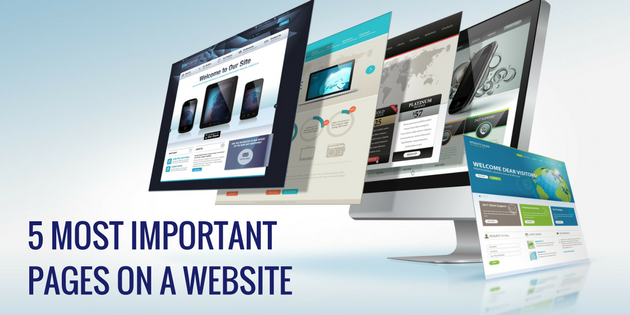 Your website should be your hub of information online. With the right content and structure your website will allow you to demonstrate your expertise, build authority in your industry and grow trust with your visitors. When you get people to know, like and trust your business, sales become easy. To provide the correct content you need the structure for your website. Let’s take a look at the most important pages on a website. People are visiting your website to learn more about you and your business. For this reason, the about page is a must. You may want to use a different name like “Company”, “Team”, etc. but this is your opportunity to tell your story. There are a couple different ways to go with your about page. Obviously you want to have a brief history of your business. Include key members of your team and what their expertise brings to the business. This is also a page where you can provide testimonials or case studies for your business. While it might seem logical that your About page should be all about your business. You should consider speaking directly to your potential customer. What does your customer need. They do want to learn about your company, but they also want to know what you can do for them. Instead of making your About page all about you, speak to them and tell them how your business will meet their needs. This is your opportunity to display what your business has to offer to potential customers. If you have more than one product or service then you should consider creating a page for each individual product or service. Be sure to create detailed pages for your products or services. People searching on the internet want to find information NOW. They want as much information as possible to make an informed decision before they buy. Testimonials are powerful. Including social proof for your business can have a huge impact on your conversions. Get as many testimonials as possible for each of your products or services. Blogging is an incredibly powerful way to showcase your expertise. Build authority by creating content that your potential customers are looking for. A blog is also a great way to get noticed and draw in new leads to your business. What keywords do people search when researching your industry? A little keyword research on Google’s Keyword Planner and you can build a profile on the content your potential customers are seeking. Your business has to be available to it’s potential customers. Interaction and engagement will help grow a sense of community. People want to make a connection with the companies they buy from. Nothng fancy needed on this page. If you have a physical storefront obviously you’ll include your phone number and address but it’s also very easy to embed a google map. Also, make sure you have any easy to use contact form and forward those message to an email that you check daily. Being responsive is a must. Don’t leave your potential customers waiting for a response. So you might be wondering why the homepage is listed last. That’s because your homepage needs to be an entry point to all of the other pages. This is the hub of your website and it’s critical to make a good impression with this page. However you create the links, they need to be visual. One of the most popular methods to use is an image slider creating calls to action to individual pages. Including testimonials and a separate call to action for your email list are also great additions to your home page. Regardless of how fired up you are about social media, most transactions are not happening within social media platforms. They happen through email. Find an email marketing platform like Aweber, Drip or MailChimp to create an opt-in form. Offering a free digital giveaway can increase your opt-in rate. Consider what valuable information you can provide to entice your visitors to give you their name and email address. Nothing will drive people off your website faster than unprofessional images and graphics. Your business has to look professional. With free stock image sites like Pixabay.com, Pexels.com and Unsplash.com there is no reason to not have high quality images and graphics on your website. If you have a product driven business then you should also have professional photos of all of your products. The presentation of your products is critical to the purchase process. Don’t skimp on photos. Online video statistics are staggering. With YouTube and video on social media sites, the vast majority of content consumed online is now video. Your business cannot afford to not have video prominently on your website. Video can be done without breaking the budget but again, it must represent your business professionally. A responsive design makes websites render well in multiple screen sizes. Basically, it makes them look good on any device. Users spend 69% of their media time on smartphones (comScore) and 80% of internet users own a smartphone (SmartInsights). If you website is not optimized for mobile then you are most definitely missing customers. A mobile responsive design makes it easy for your visitors to read your content and purchase your products on their smartphone. Not sure if you website is mobile-friendly? Check your site with Google’s Mobile Friendly Test. Don’t be left behind with an out-of-date unresponsive website. Bite the bullet and get your site upgraded. The success of your business online is based on the effectiveness of your website. Take these 5 must-have pages and our tips on additional features and build a site that builds your business. 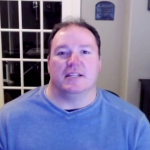 If you found value with today’s post please leave me a comment and share.